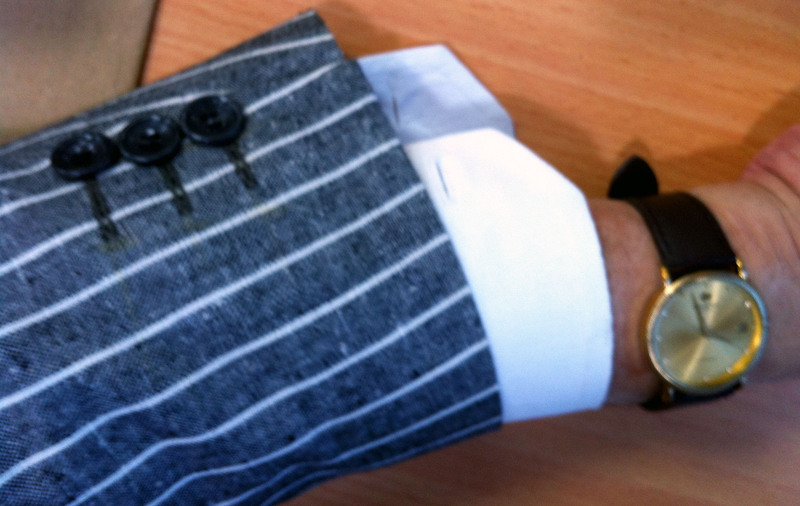 Thursday is back and I am wearing a Sports Jacket/Trousers combination today. 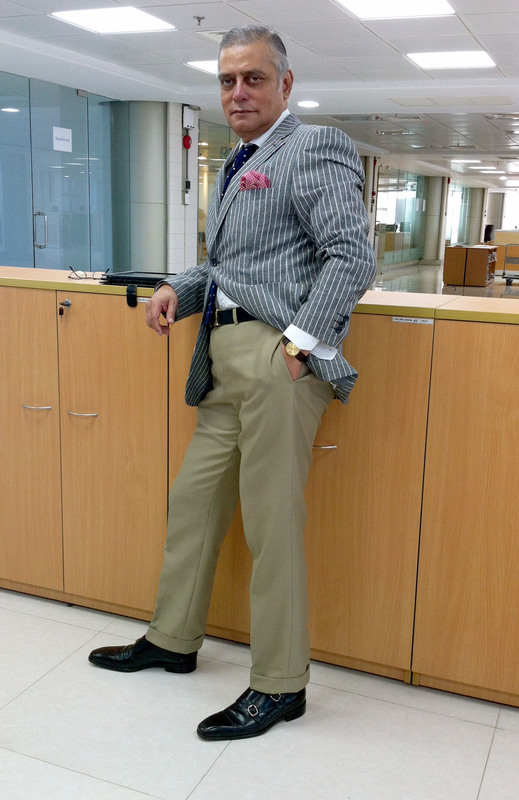 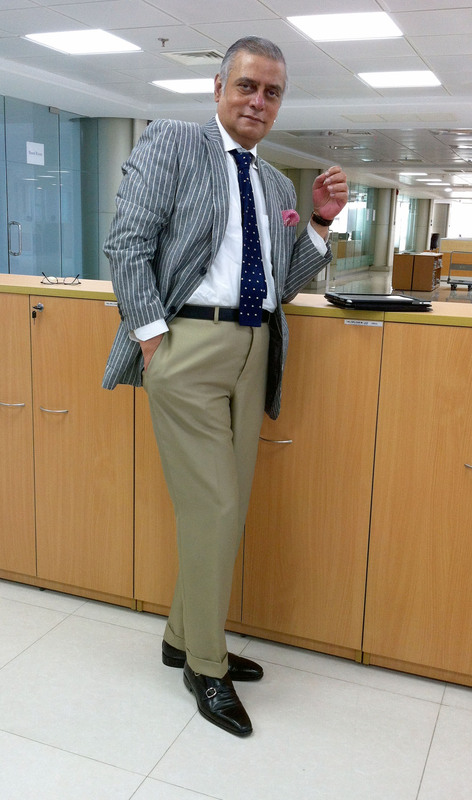 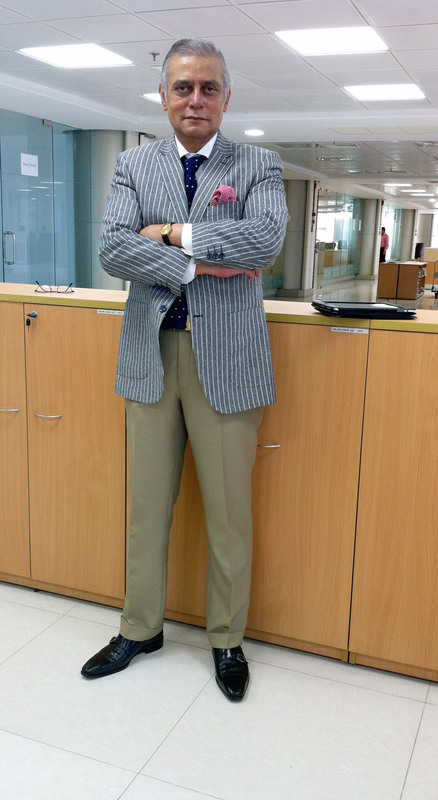 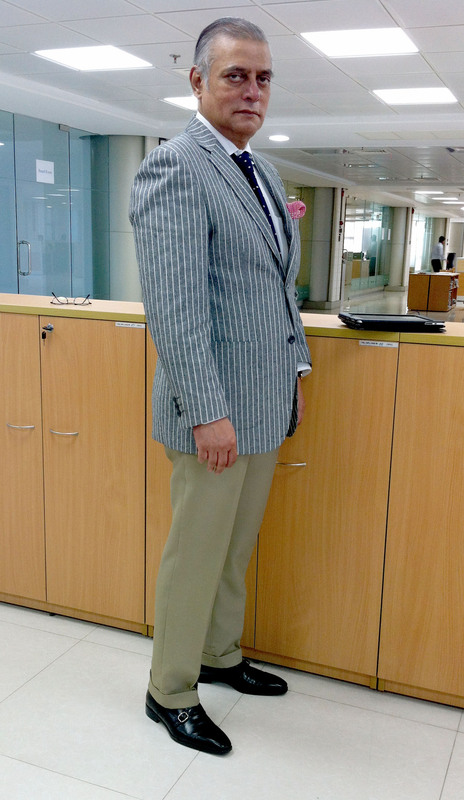 Today’s gray/white striped Linen Sports Jacket is a 2-button, notch-lapel with patch pockets with light tan trousers. 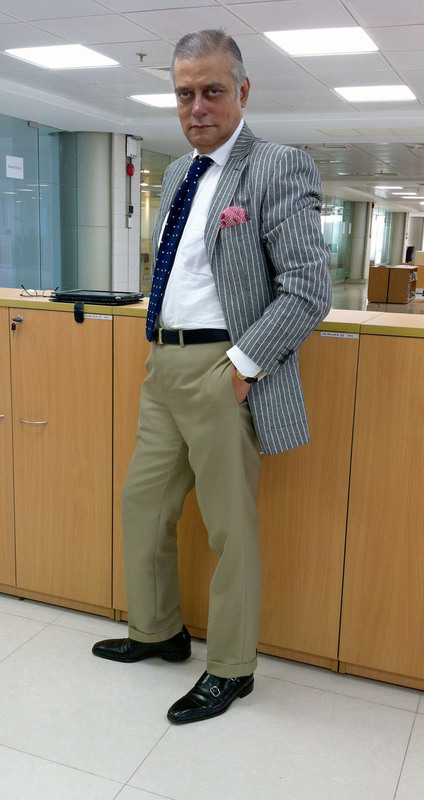 Today’s I am wearing a white cotton shirt, blue silk knit tie with light purple dots, and a peach colored silk pocket square with small white dots. 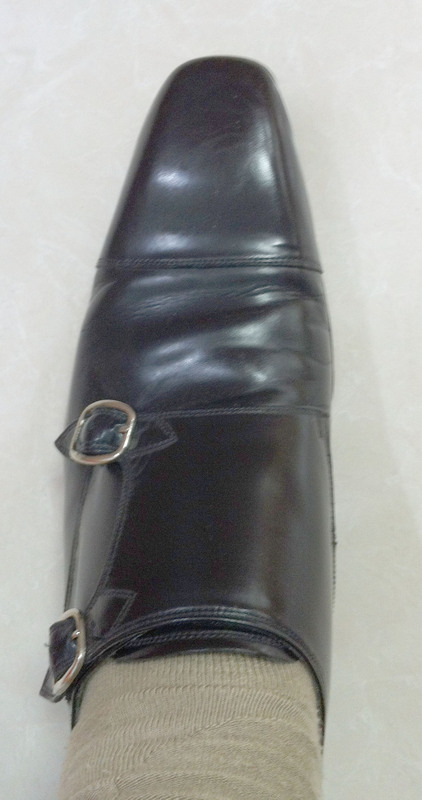 Today’s shoes are black double-monks and the watch is a vintage gold-plated Raymond Weil Geneve Automatic with date function.